beach. Her makeup made her bright sea green eyes irresistible to look at. She wore a white dress and golden dangle earrings. She looked beautiful. It was always how she wanted to look when she was meeting her future husband. In Derek…Man or Monster..Part 1, you were introduced to Nadia, the gorgeous girl who wanted nothing to do with the dating scene and tired of the “boys that ran around thinking they were men” after a break-up with her fiance. She ended up meeting Derek, who was “suddenly” headed to the same college as her through an online chat room. In one week Derek and Nadia felt like they were soul mates. She returned to college and is getting ready to meet Derek for the first time…face to face. I watched as Nadia gave herself a one last once over in the mirror. She looked prettier than I had ever seen her…and I didn’t know that level of beauty could be accomplished. I knew it wasn’t her makeup or outfit or hair that made her extra pretty; it was the glow of happiness that radiated out of her. She looked like a bride about to walk down the aisle. Then I glanced once again at the lap top that had 54 pictures of Derek, her mystery online guy, floating across her screen. I was nervous. I mean, online dating is a little crazy, right? Then I looked back at Nadia’s face filled with joy. I hadn’t seen her look like this in a long time, certainly not with her ex-fiance who hadn’t even reached the “boy” category in the life cycle of the male species; with his whiny attitude, he seemed to be trapped in the “baby” stage. Pushing aside my skepticism, I decided to send her off, daring to hope. “You look so gorgeous!” I said running up to her and giving her a little hug. She glanced down at her cell phone to check the time. “Oh my gosh! I better go!” She let out a nervous yet happy squeal and picked up her purse. She clasped the door knob and prepared to walk out, “I won’t need it, but thanks so much!” she said in all confidence. “OK! You could be meeting your future husband in like 5 minutes!” I said and afterward immediately started to wonder if I shouldn’t have been encouraging this. But that’s what friends do. Nadia was almost to the little cafe on campus known as the Palms Grille. It wasn’t the ideal place for meeting your future husband, but it would do. Nadia’s heart was beating wildly. She could feel the sweat on her palms as they tightly squeezed the handle of her purse. She was about to meet the sweetest, most caring, funny, romantic man on earth. She couldn’t wait to see the man in the pictures. The man who was muscular, tall, had large hazel eyes and a thick shock of brown hair and a complexion that made it look like he had walked off the cover of a magazine. She opened the door to the Palms Grille, a grin spreading across her face. She was floating on cloud nine. She scanned the crowds of people and couples sitting at the fancy round tables. After two minutes of searching she felt a pang of fear, where was Derek? She gulped and scanned again. No sign of him. She stood, stick straight in the waiting area and proceeded to stare down at the restaurant door. She felt doubt creep in the back of her mind as the minutes ticked on and on. Suddenly she felt a gentle tap on her shoulder. She jumped and whorled around. It wasn’t Derek, just a young pimple faced teenager who probably worked here and was wondering if she needed to be seated. “I’m just waiting for someone,” Nadia said quickly and returned to her constant stare at the door of the restaurant. “Wow you’re beautiful!” the teenager exclaimed. Nadia gave him a polite smile, wishing he would leave her in peace. “Nadia! It’s me, it’s….. Derek!” the teenager suddenly exclaimed opening his arms widely as if he was inviting her to run into them. Nadia felt like her throat dropped to her stomach. This was a joke. She snapped her head around looking back at this… this… child before her. “What?” she asked astounded. “It’s D-Derek, it’s me,” he said, his voice reminded her of wind whistling through the trees. He was talking, but Nadia didn’t hear a word he was saying. The man before her was at her level in height, not the 6ft dream she pictured. His brown hair was laced with so much gel it formed deadly looking spikes across his head; and it was thin, she could see glimpses of his white scalp through his hair. Deep widow’s peaks Dracula would envy carved into his hairline. A constellation of pimples were strung across his high forehead. His lips were thin, disappearing as he smiled. This was impossible. There was no way this bean pole was the hunk she had met online. No way. Then she looked at his eyes. Large, thickly lined hazel eyes with heavy eyelids. The eyes were the same eyes that belonged to Derek. She gulped suddenly remembering the one picture out of 54 that hadn’t matched the rest of the pictures. Her stomach flip flopped. This was the guy. This was indeed, Derek. Nadia was snapped back into reality. She found her words, “You, you look…” her voice trailed off. She couldn’t be cruel. Looks didn’t matter. Derek had a heart of gold and that would make him attractive…eventually. “I have a surprise for you,” he said in his soft way. “O-O-K,” Nadia said nervously. 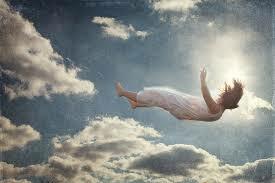 She could feel the fast plummet in her heart as she slowly, or rather, rapidly was falling from cloud nine. With her fingers, Nadia pushed the book away from where it had tapped her nose. She scrunched her eyes, reading the cover. Karate for Lovers. She couldn’t help but quizzically and frightfully raise her eyebrows. “What is that?” she asked, wondering if she would even want to know. Derek laughed a high pitched, shaky laugh. “My darling love, it is a book about karate I want you to read. Then I’ll teach you!” He said hopping up from his seat and chopping the air like he was on some kind of Chinese film. Nadia bulged her eyes and grabbed his arm. People were staring. “That’s very…nice.” Derek kicked the air. Nadia chuckled looking around the room, hoping no one she knew was in here. Finally Nadia urged him to sit down. He talked and talked about space and aliens; he talked about karate and his medications; he talked about how they would name their first son, Spock; he talked about his emotions and dragons and his passion for video games and he talked about their future wedding; With every word he spoke, Nadia felt any hope of this man being her soul mate die. How could she have not known all these things about him? In fact, she was at the point where she was longing to run away and pretend this never happened. Suddenly Derek reached out his thin fingers with unnaturally long nails, Nadia noted, and touched her cheek. Nadia’s insides crawled. He leaned in forward. His rubber band lips were forming into a pucker. Nadia jumped to her feet. Nadia shook her head, pretending he didn’t just refer to her as “passion flower”; “Derek, I’m just not sure about this-any of it. I think I just-I was engaged and I was emotional and I’m so sorry, Derek, but I think I’m not ready for this.” The words came out a tangled mess. Derek’s eyes filled with tears. They ran down his bony cheeks. “You don’t ever want to see me again, do you?” He asked her in a whisper. Nadia was a softy and Derek seemed nice enough, even though they had nothing in common they could at least be friends, right? “We can be friends still, if you want…” secretly she hoped he’d say no. Nadia and Derek never ended up getting married…and the friendship was a short lived catastrophe. I am a person who believes you can find the right person in many different places…the internet…maybe??? Sites like E-harmony and Match.com seem like the best avenues to meet someone online…if you MUST meet someone this way. But I would avoid it if possible. The thing about the internet and face book etc. is they only give you one view of a person. You don’t get to see how they react to situations in life (good and bad), you don’t get to see expression of emotion, you don’t get to see what it’s like just to hang out with them. You are trusting pictures and words.We all are our best versions online. Many times we see someone online with a great picture, they say a few awesome things, and we fill in the rest of what we imagine them to be like with our “ideal/dream” person. We fall for them quickly without really knowing them because who doesn’t fall in love with a perfect person? If you decide to try this method of meeting your soul mate, be VERY CAREFUL and know what you want and know what to look for. You also MUST PLAN on meeting that person…and sooner rather than later. What I am wondering is if anyone has a success story? I know they exist!! What do you think of internet dating…good idea or just inviting creepers into your life? Have you met your soul mate online? Does internet dating work? If so, what makes internet dating work? Does anyone have any internet dating fail stories? This is a piece I wrote as a writing sample for a job with a small magazine! I hope you enjoy it too! 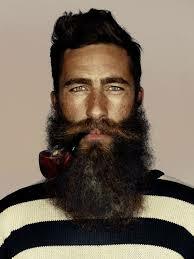 Throughout the ages facial hair has been considered the “rite of passage” from boyhood to manhood. In many cultures and throughout history beards have been viewed as a sign of honor, strength, power and respect. Beard wearers also have been thought by some to be dangerous, sneaky or sloppy. Women love it and they hate it! Whether it’s good or bad, the ability to grow hair on your chin means something. Having facial hair is a trend that comes and goes, and right now it has taken over the men in the United States by storm. The business man clean shaven face is out. The rugged and tough face of a lumber jack is in. Whether it was the hipsters or Duck Dynasty, the beards are back and they plan on staying around, for a while anyway. Deciding to embrace the tide and grow a beard? Beards can be a way to express yourself or to show your style or to make a statement. There are many different ways to shape your facial hair into something that gives people a little glimpse of your personality. Below is a list of ways to embrace your manhood and get growing! The Full Beard: Let your facial hair be the boss. The full beard is the long free flowing beard that is often integrated with a mustache. Garibaldi: A wide, full beard with rounded bottom and integrated moustache. Old Dutch: Think Amish. This is a large, long beard connected by side burns that flares outward in width at the bottom, without a mustache. Jaw line beard: This is a beard that is grown right along the jaw line and chin. Other variations: the chin strap and chin curtain. Neck beard: The entire face is clean shaven, only allowing hair on the neck to freely grow. Although lacking in popularity and attractiveness, this style has been donned by people like Peter Cooper and David Thoreau. Circle Beard: Also called “doorknocker” for its resemblance to the brass object you use to knock on your neighbor’s door, this beard forms a circle around the mouth connecting the chin beard to the mustache. Goatee: As the name suggests, the goatee is grown to resemble the fluff of hair on the chin of a Billy goat. Van Dyke: What do you get when you merge a mustache with a goatee? You’ve got it! It’s the Van Dyke Beard. Royale: If you want to feel like royalty then you may want to try this type of facial hair, a style popular among kings and emperors. This beard extends to the chin and is narrow in width, pointing at the tip. Verdi: The goal of this beard is to display the moustache. The beard is short and rounded on the bottom; the cheeks are shaved; the mustache is thick and big. Hulihee: Originating from Hawaii this style of beard entails a clean shaven chin with chops that flare outward and are connected at the moustache. 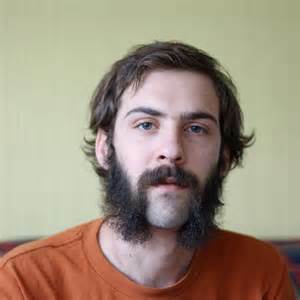 Friendly Mutton Chops: To achieve this look, start with long sideburns that thicken at the jaw line and are merged with the mustache. The chin is shaved clean and the beard kept tidy. Designer stubble: Ready to embrace ruggedness but not a full-blown beard? Designer stubble is where you let your facial hair grow out, keeping it short and close to the skin. 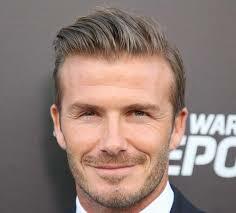 In the picture to the right, David Beckham sports designer stubble. Now that you have some ideas on how to create a masterpiece with your facial hair…get growing! What do you think of beards? What kind of beard do you have? What do you think of the beard trend, ladies? D E R E K…man or monster? Nadia looked at her phone, afraid to see how late it was. 2:04 AM. A day spent helping about 1000 people-packs of children, moms pushing obnoxiously sized strollers, couples walking hand in hand, and huge families that decided it would be a great idea to go to the zoo for their reunion were all in her work day future. She needed to turn in, she was exhausted. But then she heard the little ding that had been her central focus for nearly a week. That had kept her awake till nearly 3:00 AM every night. Her eyes popped back up to the screen of her mac book to see she had a juicy message waiting. Her heart beat quickened as she opened the message from him- a man she thought didn’t exist – couldn’t exist. Two weeks ago she had been engaged. For all her life she dreamed of finding a good man and getting married and living happily ever after. It always seemed like it would be a piece of cake. Then came a slew of crummy relationships and a quickly ended engagement. They had all led her to doubt if her dream of happily ever after could ever happen; or if real men even existed. She was sick of getting her heart broken. Sick of being on a roller coaster ride of emotions. She was sick of the game of dating and for now she had enough of it! Becoming a nun and living a quiet life of celibacy was an idea rolling around in her head. Perhaps things would be easier that way. And then he came along- the man who had been keeping her awake until the wee hours of the night – the man that caused her to hope again : Derek. He didn’t come along like the other guys. Nadia was beautiful. Strangers were daily proclaiming her beauty to her. “I just have to tell you…you’re GORGEOUS!”; “You look exactly like Olivia Wilde!” ; “I want your eyes!” ; “You’re like the prettiest girl I’ve ever seen!” With her perfect figure, long thick golden hair, straight white teeth and bright green eyes, getting guys to notice her wasn’t difficult. In fact, getting guys NOT to notice her was the hard part. And right now she wanted nothing to do with the boys that ran around thinking they were men. 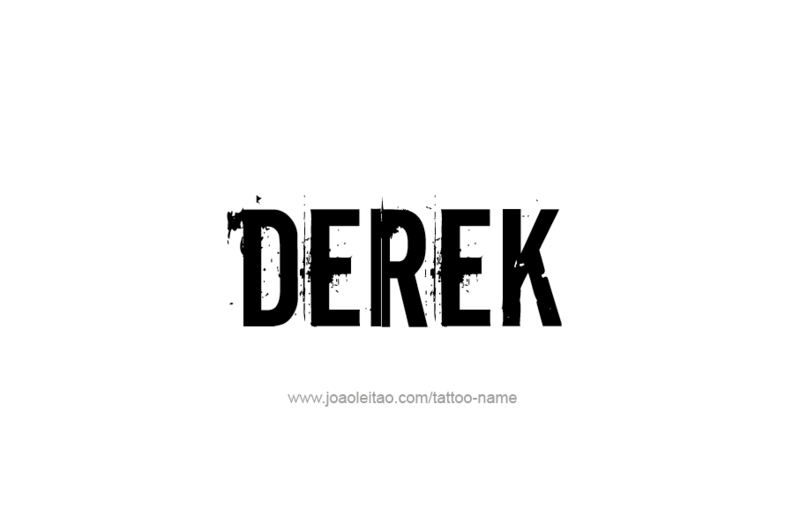 How Derek came along was subtle. He didn’t come along with a cheesy pick-up line asking for her number. He didn’t come along bragging about how much he could “lift”. He didn’t come along trying to impress her with jokes. He didn’t come along like most guys, which was why he was able to get close. He sneaked into her life through a lit-up rectangle screen and housed in a mysterious world known as …..“The Internet”. Nadia never believed in meeting a man online and finding love by means of the internet. It was just plain weird in her mind. But here she was now…a week later, daring to believe in the impossible. Derek was so sweet and romantic. He made Nadia feel like she was the most amazing person in the world…and not just her body, her heart. He wasn’t cocky. He was humble and funny. Nadia glanced at his picture. Other than the fact he was an absolute gem personality-wise he was good looking…quite good looking. He had a dazzling smile that carved adorable dimples in his cheeks, he had big deep green and brown eyes with thick eyelashes and a full head of brown hair. He was like a thief in the night…the object of his desire…was her heart. And very quickly, he was stealing it. She read his message, her heart pounding. Nadia gasped. It was crazy…but so romantic! Part of her mind begged her to reconsider. Begged her to be careful. Begged her to at least wait until she met the guy when she went back to college in a week. The other part of her wanted to fall into his internet arms…confessing her love for him. They did have a strong…almost unreal connection after all. And he had made her heart feel alive and happy again. Could it be true? Could people fall in love on the internet? I looked at the computer screen that had an endless slide show of pictures of Nadia’s “internet man”, Derek, floating across it. He was pretty darn cute I even had to admit…in almost all of the 54 pictures he sent her. There was only one picture that confused me. A picture of “Derek” that barely looked like the handsome buck he was in all of the rest of the pictures. I actually couldn’t figure out how this person…could even be same person in the 53 other photos. Oh well. I knew I shouldn’t be shallow. According to Nadia, Derek was a rare find in a man. He was a gem. And his looks didn’t matter. Still I the whole thing was weird. I am a total romantic. I believed in love and in soul mates and I believed you could meet them in the craziest ways; but I was wary of meeting them through the internet. It just seemed so shady. So impersonal. When Nadia told me how she thought she met “the one” two weeks after breaking up with her fiance, needless to say I was skeptical…but by the glow in her eyes I hoped it was true. I supposed we would find out if it was true, if she had found the man of her dreams, in just about an hour…when she would met him face to face. What do you think of internet dating? Do you think it’s possible to find love online? This is what my car looks like! rise in my chest. I looked at the key, just in case I had been trying with the wrong one. Nope, didn’t think so. After a few more tries I was at a loss to what even happened. I ran to the other side of the car…hoping…praying that at least one door would open. Like a good little door it opened when I turned the key in its handle. I sat in the passenger side of the car and reached over attempting to manually unlock the driver’s side door. Didn’t work. 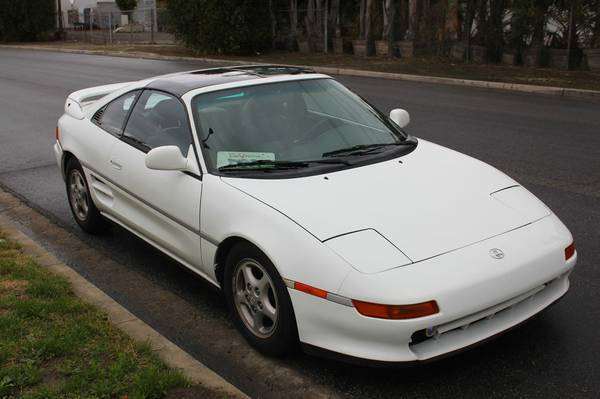 I have to tell you first, that I have a 1991 Toyota MR2. These little sport cars are TINY. Like a Toyota Camry looks massive in comparison. Often I loose my car in parking lots because it gets easily hidden behind other cars. Even though I am only 5 ft and small I knew climbing from the passenger seat to the driver’s seat would be a hassle. Grumbling I pull myself across the middle of my car attempting to avoid the emergency break and shifter, and after hitting my head I plop into the driver’s seat. Stupid door. For some reason I am not too alarmed. My boyfriend works with cars…he’ll know what to do. Once I reach my destination I also realize I cannot exit through the driver’s side either. I crawl out the passenger side…again. I have become a master at entering and exiting through the passenger side. I no longer care at the weird looks I get from people watching. I also figured out that I must avoid wearing skirts or dresses at all costs during this time. Finally after attempting to put away as much money as I can from my meager paychecks I feel like I have enough to hopefully get the door fixed. I was able to set up an appointment with this friend of ours, Jerry. Jerry is this older guy that always…I mean always has a smile. And he knows his stuff when it comes to cars. “We have a problem…” Jerry starts and after a conversation that was filled with so much car lingo I felt like it was another language, Jerry drove off. Quickly I turned to my boyfriend to interpret. “I mean…it seems OK! At least it opens right?” I say hopefully running to the door…suddenly I realize the problem. The door indeed opens…but now it no longer shuts. I realize the gravity of the situation. A door that doesn’t open is one thing…one that no longer shuts…well you can’t even drive it! I am completely frazzled. The past month I have been dealing with copier issues and other expensive equipment breaking down at work, my computer giving me the blue screen of death, and a dishwasher (that is new) just failing. I am seeing the dollar signs rising to a frightening amount. Josh tells me the problem is something about the alarm system on the car…and how it went bonkers and malfunctioned. Even time I tried to unlock the door I was adding strain and several parts ended up breaking. The new parts were outrageous for my little 23 year old car. I had no other spar car and neither did my boyfriend. I had to go to work…I needed money. I wasn’t even sure how I was going to get there. A light bulb goes on. 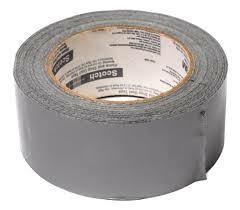 Duck tape. The fixer of all things. Using nearly half a role I taped the door shut the best I could. It looked like my car had escaped from a junk yard…or from an experimentation lab. But the duck tape had bought me some time. Time to hopefully find the parts I needed or another door that would be cheaper than buying the stuff brand new.Tough part was going to be finding a 1991 MR2 door…they don’t just grow on trees these doors! In the hot humid weather the tape began to loose it’s sticky qualities. I ended up clutching the door praying it wouldn’t fly off some days while heading to work. And then I realized if I got pulled over it would be a nightmare. I imagined the scene unfolding…at night in particular…the cop comes over to my heavily tinted driver’s side window. I frantically try and shout through the door that I cannot roll down the window…or open the door. I will have to climb over to the passenger side. Yeah…each time I imagined it…the scenario never ended well for me. Finding a door was imperative. Finally I found one on Craigslist. The person selling the door was less than civil….in fact he was down right rude and weird. He accused me of waking him up one day when I texted him at 10:30am…on a weekday. Just a weirdo that expected us to be mind readers. After several days of dealing with this guy I actually wanted to text him, “You can keep your door! I wouldn’t buy a door from you if it was the last door on the planet.” But…his door was my only hope, so I refrained myself from sending the text. To make a long story short…I got the door. “Jerry, you have to take it!” I say thrusting the check at him. After arguing with him a few more times I realized he wouldn’t budge, he wouldn’t even take a $10 bill from me. It’s so good to remember in the midst of a world filled with a lot of bad things…there are good people out there…that do good things; people that make you want to be better. People that are like lighthouses to boats in a storm. Has anyone ever paid for your Starbucks or helped you out in some way that really made a big impact or left a big impression on you? I’d love to hear about it! What a great piece by James Michael Sama!!! For anyone attempting “dating” in the 21st century, there is an overwhelming question of whether or not our generation actually appreciates the qualities many of us were taught to possess by our parents, grandparents, or hell – even Disney movies. In an age that seems to be overrun by the self-absorbed, those who are perpetual givers often feel as though they are shoveling their heart into an abyss of apathy. 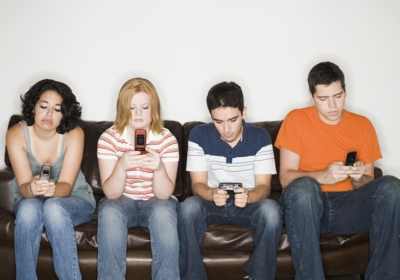 The “me me me” generation can easily seem as though they feel entitled to the special attention they are given, and therefore express their appreciation less. To the giver, this can be quite disheartening. While I believe that someone with a truly generous heart will never do something for the sake of anything in return, everyone likes to feel appreciated by someone they care about, or put themselves out there for. This is something my boyfriend’s 89 year old grandpa told us about living a happy life. (As a side note…he went through the great depression.) He is an 89 year old that loved his wife like they had never stopped dating, he wasn’t rich…he was a fruit farmer, but he was happy. And to this day he literally has hundreds of friends…not just acquaintances…friends that actually really know him and really care. He is one of the happiest people I know. 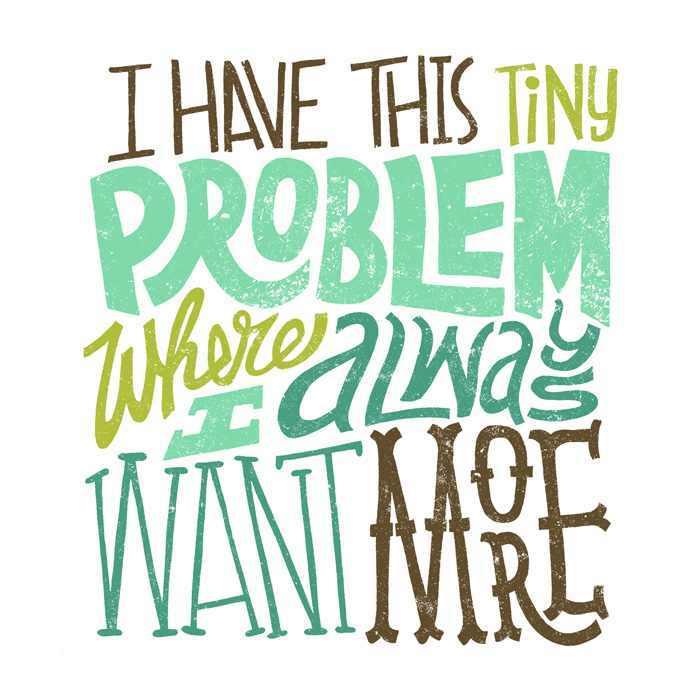 Wanting things is good…its just when we forget about everything we already have that bites us! cool as that person’s so we get more, we have a car…it’s not very cool…so we think we ought to have a new one. We focus so much on what we don’t have instead of what we do have. I am all for having goals and reaching for dreams…big dreams…huge dreams. But, I just realized when you’re 89 what will you really care about? I doubt any of us will be thinking about how big our house is or how full our closet is. These people look like they are having LOADS of fun together! time. I could tell the poor girl was sad and thought she was boring or something.) … Our families…our friends…strangers…let’s stop choosing to live life alone! I am convinced that happiness comes from building relationships….deep and meaningful. And maybe we won’t have 100 friends or 400 social media friends….but if we have a few that are good then we will be happy people. I am also convinced that happiness comes from being thankful. Have goals. Reach for goals. 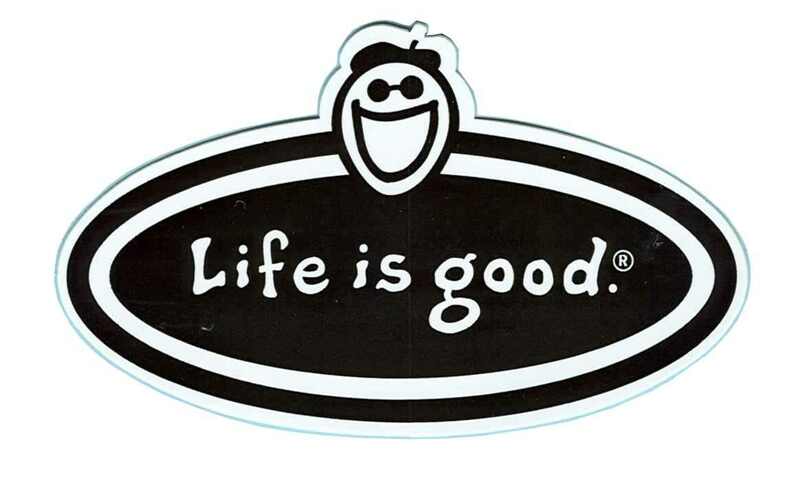 But while you’re reaching for those goals…never forget all the good things we have. Our nation is one of the wealthiest countries in the world…with the chance to chase your dreams. You know how many people around that world would love that chance? So let’s be thankful. Work hard…pursue your dreams…and instead of wishing life came to us SO EASY like SO-and-SO and THAT PERSON or THAT RICH KID….remember that we have that GREAT GIFT of being able to go after our dreams in this country…sometimes we just have to work hard for it instead of expecting it to be given to us. People were made to be loved. Things were made to be used. things are being loved and people are being used.